Load One sets itself apart in retention. CEO John Elliott is committed to respecting Load One’s drivers, employees, and customers personally, and professionally. 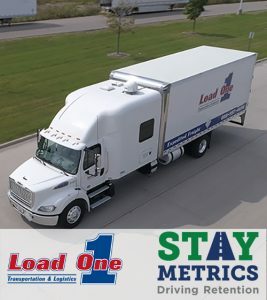 Load One needed to reduce the amount spent on recruiting and training drivers, and at the same time, increase the company’s driver retention rate. Read the full story by getting a free copy of our case study.